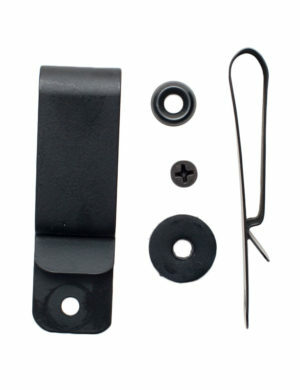 Holster Clip & Hardware Set (5 piece set) (H-10) includes shipping in it’s price. 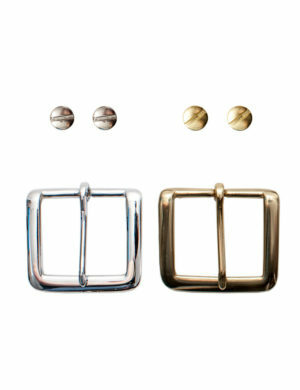 Starting price is one set plus shipping, than you can add as many sets as you would like. 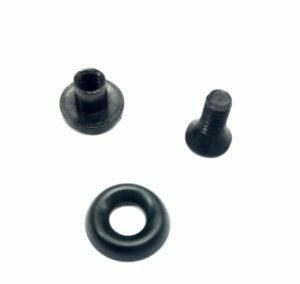 These are tuckable clips, meaning that when you wear your holster inside the waistband the clip will be able to hinge forward to enable you to tuck your shirt between the clip and the holster. Next, once you have your shirt in between the clip and holster, you can pull the shirt out a little to do a loose tuck. So the will fold over the exposed clip on your pants. This holster clip and hardware can be used on MTR Custom Leather’s, A-1 Thoroughbred holster or A-1A Sentinel Holster. If you are needing hardware to replace MTR Custom Leather’s A-3A Tuckable Adversary, A-1A Sentinel, A-1 Thoroughbred, A-1+ Deluxe Thoroughbred, A-2 DC Holster and A-5M Single IWB Mag Carrier (tuckable, than please choose (H-3)Holster Clip & Hardware Set (4 piece set).